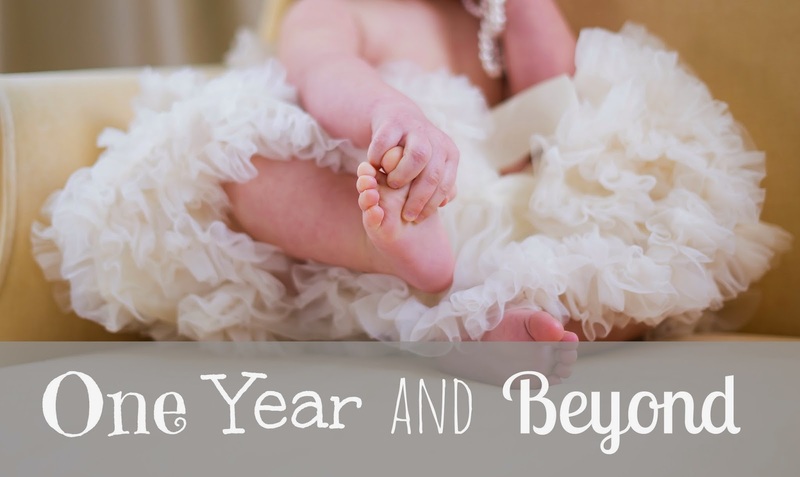 One Year and Beyond is back!! We just couldn't stay away from this awesome toddler series. We've gotten so much positive response so far. Motherhood can be difficult especially with a toddler at home. So we're here to talk toddler issues, mom to mom. We've got a great group of mamas who are offering their advice on getting through those challenging times with their child. Be sure to check out their blogs and then link up your own post on the topic with us below! 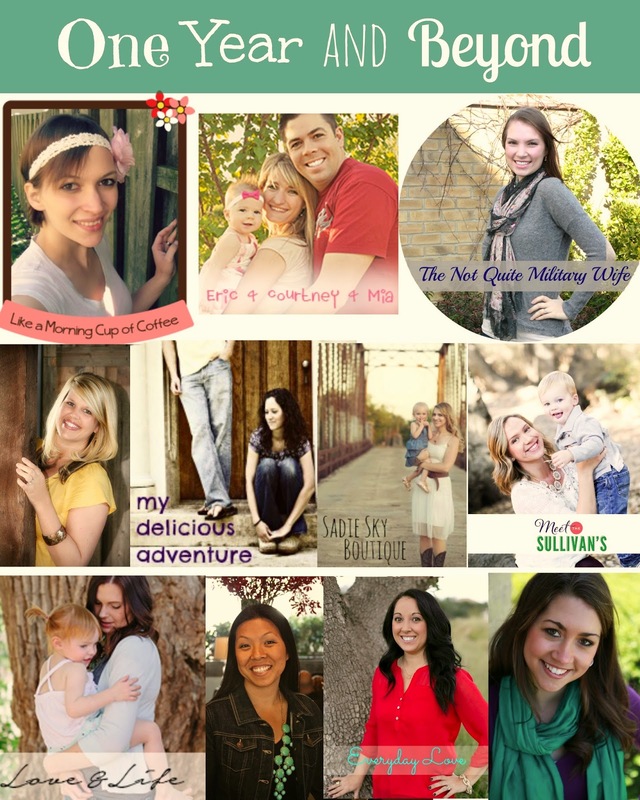 I had originally titled this post, Staying In Love After Kids. After a few minutes of writing, I realized that marriage isn't always about being in love. It's about choosing to love that person you have committed yourself to, even when you may not be easy. There are often seasons within marriage where love seems dead, especially when you are raising a toddler! Sadly, many people give up at that point. But I want to remind you that marriage isn't all about feelings and love, it's about commitment and the choice to spend your life with that person and bring God glory no matter how hard that might be. Mark 10:9 Therefore what God has joined together, let no man separate. There is no magic recipe for making a marriage work. Communicating, coordinating schedules, and making time for each other can be difficult in general. Throw a few tiny humans into the mix who can't function without our constant attention and supervision, and sometimes it feels like complete chaos. Often in the midst of chaos, our marriages are the first to go. We think we can just put them on auto pilot and if it's meant to be, it should work, right? It is so important that we be intentional about making our marriage work. It requires daily maintenance and effort on our parts to make sure that we are loving our spouse the way God has called us to! 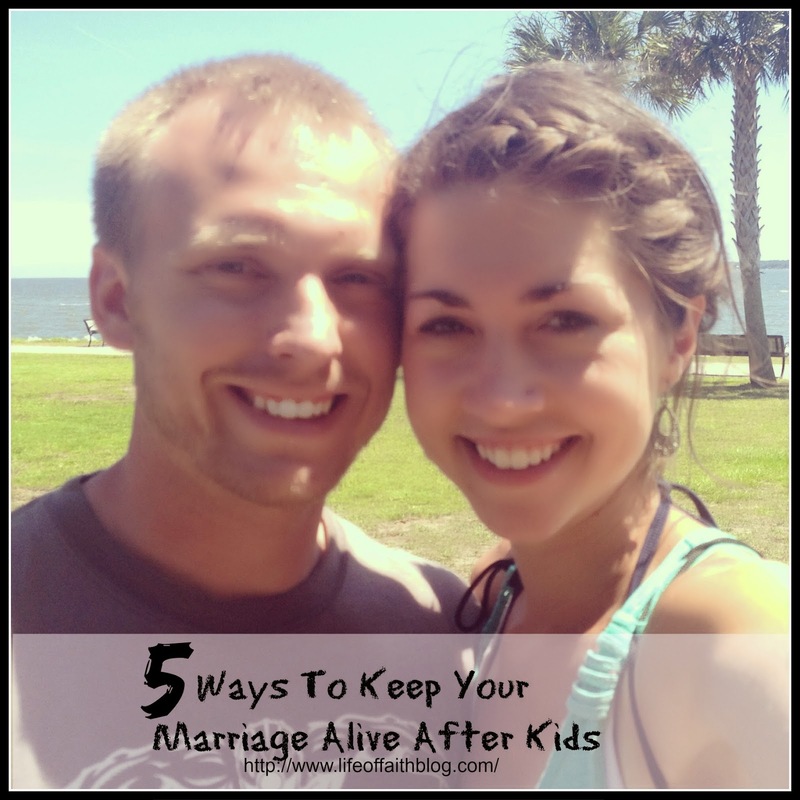 Here are five things to keep in mind in regards to keeping your marriage alive. 1. Your spouse doesn't exist to make you happy, or even to make you feel complete, needed, and loved! If I am relying on my husband to emotionally satisfy me, I am setting him up for failure. He is human and incapable of perfectly meeting all of my emotional needs! My feelings of worth, completeness, and belonging need to be found in Christ rather than in an imperfect human. If I am placing that pressure on my husband, it most certainly leads to disappointment, and bitterness. If we are both allowing Christ to fulfill our needs and looking to him as the source of our identity, then we are able to enjoy each other without the added pressure of trying to have our needs met in each other. 2. Both husbands and wives are sinners and that requires a lot of grace be given and received. After a long day, it's easy for us to be critical of one another, impatient, unkind, and just plain hurtful at times. I know I am guilty of that. I am still learning how to readily admit when I'm wrong and ask for my husbands grace and forgiveness towards me. We all have our share of things that we need to be forgiven for, so let's be quick to forgive as we have been forgiven. 3. Adapt your marriage to each season of life. Before our daughter was born, we had several date nights every week where we just spent time alone together mini golfing, going to movies, dinner, walks by the river etc. That was a wonderful season of life and great for our marriage! Just because we can't have that now doesn't mean our marriage has to suffer. Making time to do those things, even with a toddler in tow can still be very beneficial for a marriage. We don't have to put our marriage on hold just because we have a child now, we just add a child into our marriage and make it work with her in the mix! We have learned to set aside our evening time after our daughter's bedtime to spend time together. Often that just means we fall asleep on the couch watching a show, but that's what works for us. It helps us reconnect and know that we are not alone. 4. Don't ever stop dating your spouse. This is so important. I don't mean that you must have a weekly dinner date with your spouse without your toddler or children. Just try to think back about the things you used to do while you were dating your husband. Did you leave him little notes in his car at work, give him a back rub while you were watching a movie, run to give him a hug when he came over, kiss him just because? Now that we are married, we tend to think all that is a given. You may think your spouse just knows now that you love them and are thinking about them, but the reality is, they may not. They may see you so distracted and caught up with taking care of your child(ren) and feel as though you really don't care about them anymore. You need to constantly remind them of your love: text it, write it, show it, more now than ever before! 5. Remember that your husband comes first. I know not everyone may agree with this statement, but I firmly believe that one of the best things you can do for your kids is have a great marriage. After all, isn't that what you want for them one day as well? Moms who get so caught up in the raising of their children often begin living almost as if their husband doesn't exist. They latch on to their role as mom and thrive there while leaving their role as wife to rot in the background. What happens then when kids grow up and leave home? There's an identity crisis. The role as mom is no longer as needed, but the role as wife has been forgotten. Being a tired, exhausted, emotionally-drained mom is not a good excuse to stop being a good wife. Just don't let yourself buy into that lie. I'm definitely not advocating that you don't take care of your children! I just know how easy it is to pour all your time, energy and emotions into your busy toddler and at the end of the day have nothing left for your husband. He is going to be the one there after the kids have grown and gone so make sure you are investing in your relationship with him as well, whatever it takes! LOVE this post! What a wonderful take on such subject that is so hard to figure out! Love this link up!! What a wonderful post! Having just dealt with the end of my first marriage, I am approaching a second with an open mind and trying really hard to make sure I do this one right. The first thing we talked about was our shared faith and how we can keep a Christ centered marriage. I am adding your blog to my reading list! PS I found you via "Like A Morning Cup of Coffee"
That sentence you wrote about Marriage not always being about love but commitment is soo true!!! 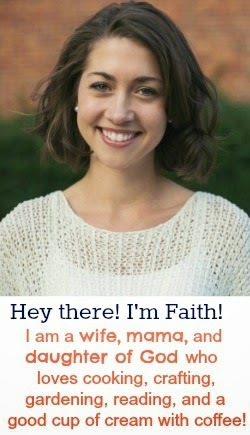 Love this post girl :)))) So encouraging. Having a toddler in the house has definitely changed our marriage; things have gotten a bit more challenging, yet much sweeter, too. It has been absolutely amazing to see my husband step up as a dad and be such a great family man! We need to be more intentional about weekly or monthly date nights. I thank God for him every day! Love this post. Couldn't agree more about being intentional with your marriage. Also love how you mentioned choosing to make it work and make the effort on a daily basis. I always loooooove your posts!! It's all too easy to put Mia first in every part of our life! But at church on Sunday we spoke on the importance of marriage and it truly is the most important relationship we can nurture! It's important for our kids to see how strong we are together, and how much we cherish the marriage! You just reaffirmed how important it is that I put Eric first!